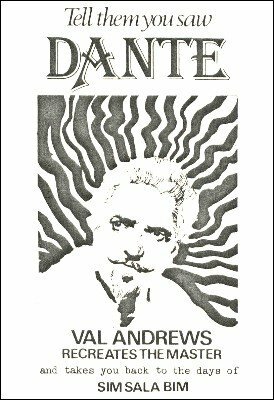 One of the most charming audioplays in existence, and a tour de force for Andrews, it leaves one with a feeling of actually having attended a few Dante shows. It also leaves one with a hunger for more Dante! This is a one-man play with wings!